Gerald Matthew Osenbrock is the son of Jerry Oliver Houser and Patricia Chapman.1 Gerald Matthew Osenbrock married Bonnie (?) on 6 April 1978. Martha Vorhees was born on 23 July 1946. She married Albert Ralph Houser Jr., son of Albert John Houser and Nettie Irene Ballou, on 21 February 1983. As of 21 February 1983,her married name was Houser. Bonnie (?) married Gerald Matthew Osenbrock, son of Jerry Oliver Houser and Patricia Chapman, on 6 April 1978. Agnes M. Houser was born in 1900 at Washington.1 She was the daughter of Albert Carl Houser and Catherine A. Sklenar.1 Agnes M. Houser died on 16 June 1919 at Pierce Co., Washington. She was buried at Calvary Cemetery, Tacoma, Pierce Co., Washington. Ella Tabjor Rhoades is the daughter of Richard Allen Rhoades and Lisia Katherine Lien. [S1594] Letter from Donna Ann (McCarthy) Harn (6960 French Lake Court, Faribault, MN 55021) to Steven Harn Redman, Jan 2003; Steven Harn Redman (2633 N. 1600 E., Layton, Davis Co., UT). [S1970] Minnesota Official Marriage System, online http://www.mncounty.com/Modules/Certificates/Marriage/Default.aspx, Marriage Certificate 84144 (B02325AA.AW3). Hereinafter cited as Minnesota Official Marriage System. 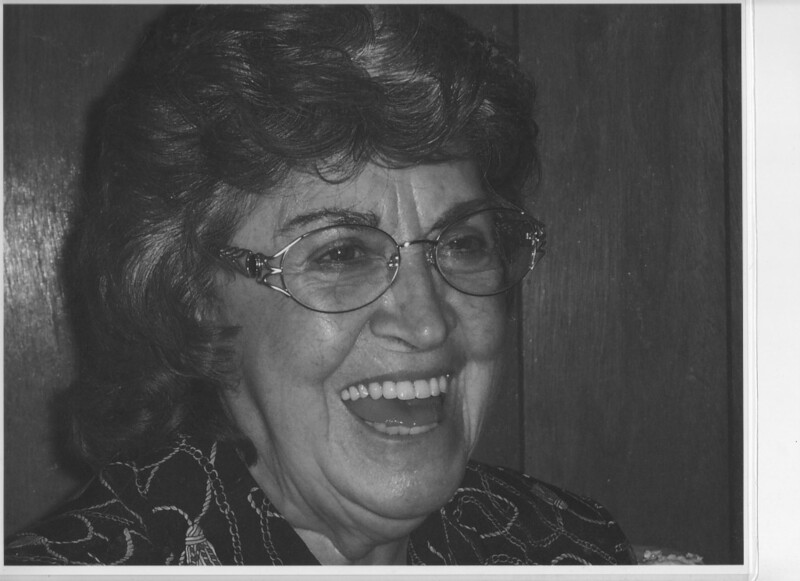 Freda Trujillo was born on 27 March 1909; birthdate from Social Security Death Index. She was born on 2 April 1909 at San Luis, Costilla Co., Colorado; info from Social Security Account Number form SS-5. She was the daughter of Louis Trujillo and Edna Allen. Freda Trujillo married William Ismael Struck, son of George Struck and Juanita Teresa Tafoya, on 25 August 1936 at Casper, Natrona Co., Wyoming; >>> What was source of 1936 marriage date? Freda Trujillo died on 12 January 1991 at Casper, Natrona Co., Wyoming, at age 81; death date from Social Security Death Index. She was buried at Rock Springs Cemetery, Rock Springs, Sweetwater Co., Wyoming; Plot: KENDALL_39_2_2. State (Year) SSN issued: Wyoming (Before 1951 ). Hereinafter cited as Social Security Death Index. William Ismael Struck was born on 8 August 1904 at Taos, Taos Co., New Mexico.1 He was the son of George Struck and Juanita Teresa Tafoya.1 William Ismael Struck married Freda Trujillo, daughter of Louis Trujillo and Edna Allen, on 25 August 1936 at Casper, Natrona Co., Wyoming; >>> What was source of 1936 marriage date? William Ismael Struck died on 8 May 1946 at Wyoming at age 41.1 He was buried at Rock Springs Cemetery, Rock Springs, Sweetwater Co., Wyoming. His Social Security Number was 520-10-5922 issued in Wyoming. The Social Security Application for Account Number (Form SS-5) lists William Struck born 08 Aug 1904 in Taos, Taos Co., NM and died May 1946. Parents listed as George and Jennie T. Struck. The SS-5 form was signed on 01 Dec 1936, color listed as Mexican.1 He was employed in December 1936 at Standard Oil Co., Casper, Natrona Co., Wyoming.1 He lived in December 1936 at 729 N. Kimball St., Casper, Natrona Co., Wyoming.1 He lived in 1937 at 729 N Kimball, Casper, Natrona Co., Wyoming; Polk's Casper City Directory for 1937 lists William and Freda Struck. He lived in 1939 at 937 N Center, Casper, Natrona Co., Wyoming; Polk's Casper City Directory for 1939 lists William and Freda Struck. He lived in 1941 at 708 N Kimball, Casper, Natrona Co., Wyoming; Polk's Casper City Directory for 1941 lists William and Freda Struck. [S1609] William Ismael Struck, unknown file number, SSDI - Wm Struck, unknown series (n.p. : n.pub.). Hereinafter cited as SSDI Wm Struck. Jane Eva Struck was born on 27 January 1928. She was the daughter of William Ismael Struck and Freda Trujillo. Jane Eva Struck died on 10 March 1929 at age 1. She was buried at Highland Cemetery, Casper, Natrona Co., Wyoming. Viola Virginia Struck was born on 29 January 1929 at Superior, Sweetwater Co., Wyoming. She was the daughter of William Ismael Struck and Freda Trujillo. Viola Virginia Struck married Leslie A. Bullington on 18 April 1952. Viola Virginia Struck died on 9 March 2018 at Central Wyoming Hospice, Casper, Natrona Co., Wyoming, at age 89. She was buried on 16 March 2018 at Highland Cemetary, Casper, Natrona Co., Wyoming. She graduated in 1948 at Natrona County High School, Casper, Natrona Co., Wyoming. Her married name was Bullington. She lived in May 2013 at Casper, Natrona Co., Wyoming. graduated from Natrona County High School in 1948. Vi married Leslie A. Bullington on April 18, 1952. To this union was born five children. ending with the State of Wyoming Corrections and Parole, where she retired in 2000 after 17 years. from head to toe with every color shoes you could imagine. Mexico. She is also survived by 22 grandchildre, 45 great-grandchildren, and 9 great-great-granchildren. beginning at 7:00pm at Newcomer Casper Chapel. A Mass will be held at 10:30 am, Friday, March 16, 2018 at St.
Patricks Catholic Church with a graveside service to follow at Highland Cemetery. 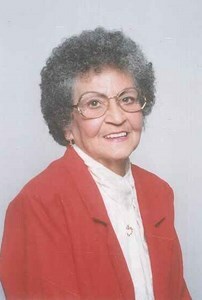 Betty W. Howell - Sweetwater County ObituariesBetty W. Howell, 85 of Rock Springs, Wyoming passed away on Saturday, February 21, 2015 at her home. She was a resident of Rock Springs and a former long-time resident of Casper, WY. Mrs. Howell died following a lengthy battle with Alzheimer’s disease. Betty was born January 22, 1930 in Casper, WY. She attended schools in Casper and graduated from Natrona High School in 1948. Betty married Robert S Johnson and had three children Robert S, William J, and John R Johnson. Betty and Robert eventually divorced and she later married Ed McMackin and they had one daughter, Carrie Lynn. Betty was employed by Mountain Bell Telephone Company where she started as a switch board operator working her way into a front office position. She was one of two women that were offered positions with the company that were considered a “man’s position” at the time. They were also the first to receive equal pay to their counterparts. She retired with Mountain Bell as a Second Level Supervisor. Betty believed that her sons should have the opportunity to hunt and fish, and she took her sons and nephews fishing and camping when they were younger. She continued to hunt and fish with her sons even as they became adults. She loved deer and antelope hunting on the prairie as well as elk hunting in the mountains with her brother, sons, and grandchildren. She also loved going fishing in Wyoming’s mountain streams and lakes, and she even made it to Canadian waters. Betty also adored her opportunity to be a mother to her daughter, and she enjoyed doing things with her including shopping and helping her excel in her school activities. Betty loved to travel and she enjoyed visits to California, Las Vegas, and it wasn’t unusual to find her in Deadwood, SD playing a slot machine. After her retirement she even traveled to Atlanta, GA where she visited the Coca-Cola factory and had wonderful stories of her trip to share with her children and grandchildren. Betty had an unselfish and endless love for her family. She would travel near and far to watch the events that her grandchildren participated in including basketball, wrestling, and hockey. All of her grandchildren brought her great joy, and she would hold her grandbabies for hours. Betty is survived by three of her four children, Robert S (Ava) Johnson of Recluse, WY, William J Johnson of Rock Springs, WY, and Carrie L (David) Lee of Casper, WY. Twelve grandchildren, (Robert) Stacy, Wes, Rebecca, John, (William) Shawn, Ryan, Joshua, Christian, Gabriel, Jordan, (Carrie) Austin, Aubree. Seventeen great grandchildren, sister Viola Bullington, sister-in-law Georgia Fay Struck, and numerous great nieces and nephews. A Mass of Christian Burial will be celebrated at 10:00 A.M. Saturday, March 7, 2015 at the Our Lady of Sorrows Catholic Church, 116 Broadway, Rock Springs, Wyoming. A Parish Rosary will be recited at 6:00 P.M.Friday, March 6, 2015 at the Vase Funeral Chapel, 154 Elk Street, Rock Springs, Wyoming. Inurnment will be in the Rock Springs Municipal Cemetery. Friends may call at the Vase Chapel on Friday one hour prior to the rosary and on Saturday morning at the Church, one hour prior to services. [S2346] Betty W. Howell (January 22, 1930 – February 21, 2015), Wyoming 4 News, http://wyo4news.com/obituaries-2/betty-w-howell-january-22-1930-february-21-2015/, 03 Mar 2015, n/a. Hereinafter cited as Wyoming 4 News. Leslie A. Bullington was born on 1 May 1930. He married Viola Virginia Struck, daughter of William Ismael Struck and Freda Trujillo, on 18 April 1952. Leslie A. Bullington died on 30 November 1964 at age 34. He was buried at Highland Cemetary, Casper, Natrona Co., Wyoming; Block 112, Lot 3, Grave 4. 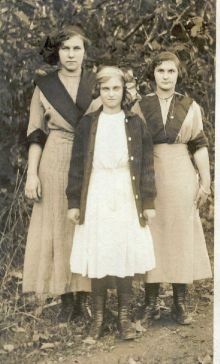 Carol Bullington is the daughter of Leslie A. Bullington and Viola Virginia Struck. Carol Bullington married (?) Halbert. Cheryl Lynn Bullington married Huey Caster. Cheryl Lynn Bullington married male Ayers. Cheryl Lynn Bullington is the daughter of Leslie A. Bullington and Viola Virginia Struck. Cheryl Lynn Bullington married Charles S. Turk. Thomas Allen Bullington is the son of Leslie A. Bullington and Viola Virginia Struck. Robert S. Johnson married Betty W. Struck, daughter of William Ismael Struck and Freda Trujillo, circa 1950. Robert S. Johnson and Betty W. Struck were divorced. William James Johnson married Peggy (?) William James Johnson married Mavis (?) William James Johnson is the son of Robert S. Johnson and Betty W. Struck. John R. Johnson was born circa 1956. He was the son of Robert S. Johnson and Betty W. Struck. Edward McMacken married Betty W. Struck, daughter of William Ismael Struck and Freda Trujillo.